One important aspect of this project is how to adapt the visualization support for the harvested data. I searched in different sites which try to mix scientific data and nice visualization context and I found interesting things on the website eyeofestival which list different scientist/artist which work exactly on this subject. 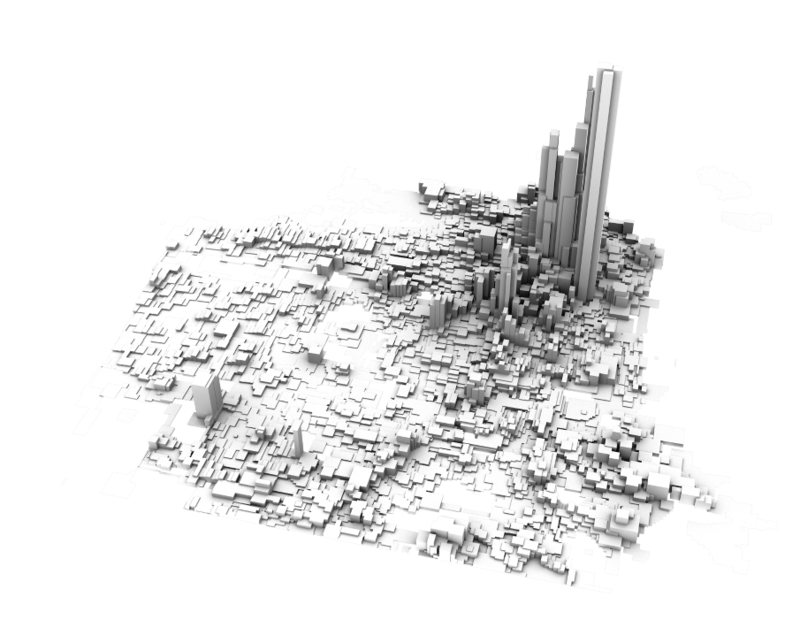 Made by Sha Hwang, this image represent the proportion of crime committed in each town area. This 3D technique can also be used in a dynamic way as in this example, made by the same author. Here is also nice examples of more “classical” data visualization; the map shows here the transit time from the car to the pointed place. but it can aslo display the home values, the schools or the crime concentration in the same San Francisco’s district. The Gapminder software can be used to represent all kind of map information, or scientific data which can be exposed on a map. It could be a very nice software to work with and seems to be easy to use and provides nice ploting possibilities. Also the Cartagen software seems to be a nice tool to expose scientific data on a map. Here is an introduction video. A beautiful example of data presentation can be seen on the website informationisbeautiful. But this only can give some ideas for presentation, as it does not contain real map visualization examples. For example, this table shows nutritional aspect of several nutriement. Finally, the site MapKnitter gives the tools to develop his own aerial images and turn them into map. A very interesting and home made way to develop his maps!